What time is it? 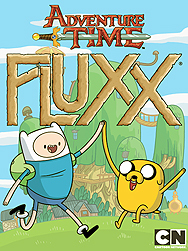 It's time to play Adventure Time Fluxx! Join Finn, Jake, and all their friends for some ever-changing fun. Draw a card, play a card, and change the rules to battle candy zombies, and maybe even floop the pig!